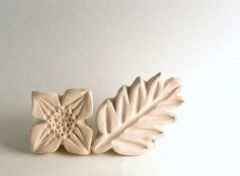 Moroccan Sand clay from Laguna with carved modern leaves. 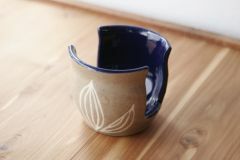 I applied white stoneware slip inlay and glazed the interior in their Navy Blue. 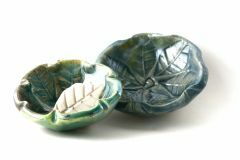 Two little raku bowls shown with the leaf stamp used to make them. 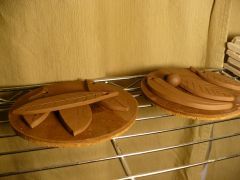 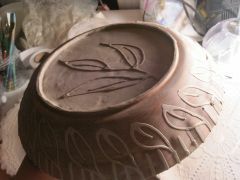 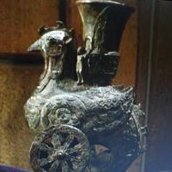 One time only use of natural leaf for impression on brown cone 6 clay. 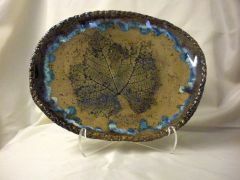 Oxided impression with clear glaze over and colored glazes around edges. 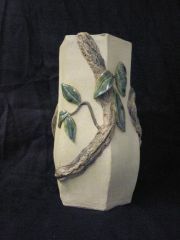 Hexagonal vase, buff cone 6 clay with embellishments. 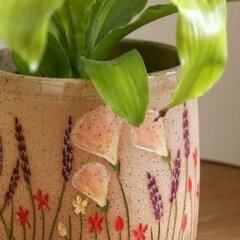 Oxided vines, glazed leaves, clear glaze inside.